'System Failure' ... 'Information Overload' .... 'Re Boot System' ... 'Ctrl Alt Del', .... 'Press ANY Key to Continue', ..... I can't find the 'ANY' key. It's 23rd of July and for eight rent-free days we've been living at the 'Box' and each day has been an adventure. The decision has now been made to leave Vladivostok on Friday 25th July. We'll take a ferry from here towards the port of Zarobino and from there, the 'Roll On Roll Off' ferry to Sok Cho in South Korea. Once in Korea the bikes will go to Busan for onwards shipping to Seattle and once certain that our Tigers have set sail, we'll folow by air. The bikes will arrive in Seattle on August 15th, .. Inshallah!. Once in America, Alan will head across country on Route 66 while I'll be making my way to Boonville CA and then later down into Mexico. It's a shame that I'll miss Alaska and it's also a shame that I'll miss out on South America, .. but I can feel a future adventure begining to form. Flights and freight out of Korea are less of a burden on both the wallet and the sanity, .. the 'misinformation' and 'half-facts' that I've had to trawl through here in Vladivostok before discovering that all 'Exits' are painful is unbelievable, ... hence the 'Information Overload'. In Korea they have lots of rules and regulations, but at least everybody seems to have a copy of the same book. 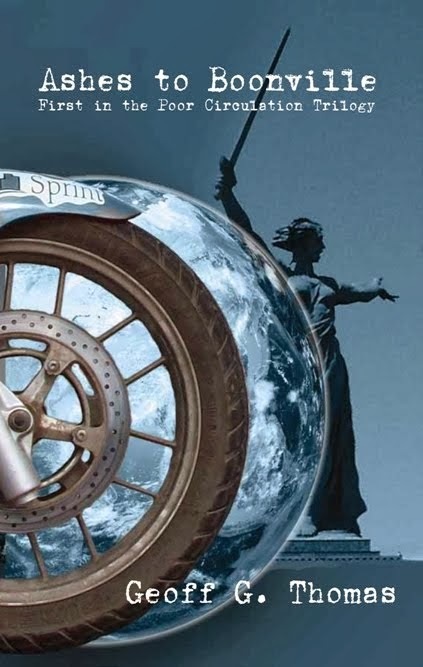 Here in Russia the rules change more frequently than the hotel linen and several RTW biker's have been caught out when trying to fly their bikes out of Kamchatka, ... some are still stranded there as I write. A few days ago i received an SMS from Dan who was riding his KTM out of Mongolia and followng our route from Chita to Vladivostok. We passed on useful information and he was due to meet us here. Unfortunately it seems that the Amur Highway has claimed yet another victim. 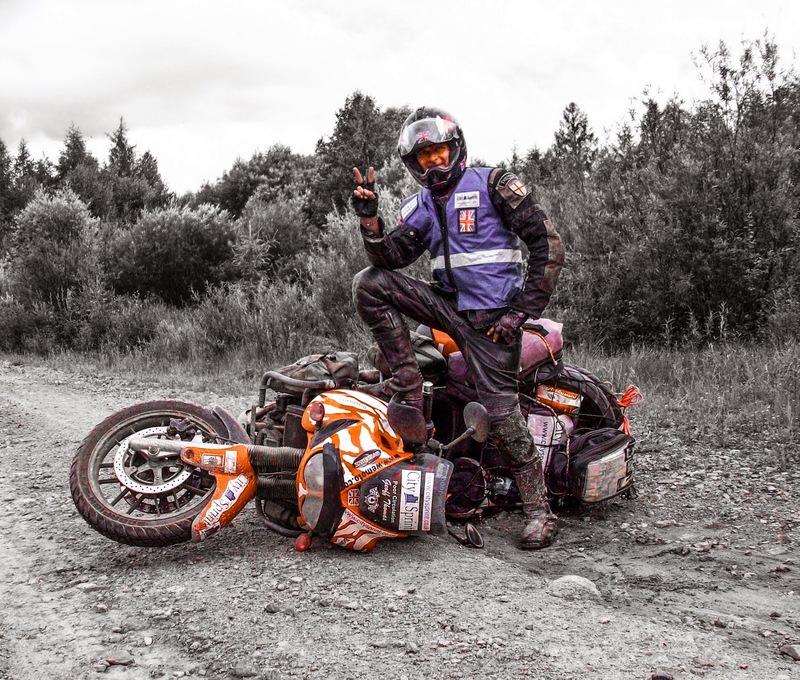 Dan's had quite a bad fall and is traveling towards Vladivostok with a suspected broken arm and a confirmed broken motorcycle. Vlad Motors will collect Dan and his bike when he arrives by truck and the Iron Tigers will arrange for medical help and repairs for his bike. It is still possible that Dan could continue on towards Korea with us, ... but we just hope that he's ok. Yesterday the Brazilian pair of riders arrived in Vladivostok and came to Vlad Motors with a broken bike. Nothing serious; broken chain, broken frame, bent valve, crunched main bearings, broken exhaust, shattered rear hub, .. but apart from that the Yamaha dirt bike was fine. 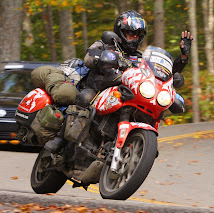 It now seems even more remarkable that our Triumph Tigers have completed the exact same journey without problems.